Ball Corporation is now manufacturing G3-HD, a two-piece, lightweight steel aerosol container. This latest addition to Ball’s industry leading aerosol can portfolio is manufactured in the company’s Chestnut Hill, Tennessee facility. Household goods consumers can expect to see products featuring this can hitting retail shelves in 2016. 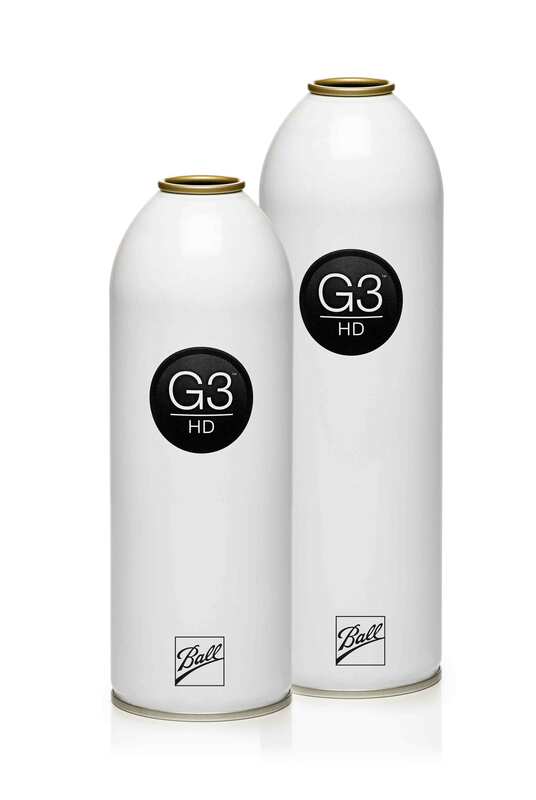 G3-HD is Ball’s next generation of steel aerosol packaging. The integrated dome design is the product of a high speed, coil-to-can manufacturing process and features high definition graphics to meet customers’ growing expectations for their brands. Moving beyond traditional steel aerosol manufacturing, G3-HD is designed to control sidewall thickness to accommodate various specifications. “Ball’s G3-HD demonstrates our on-going commitment to innovative packaging solutions that help our customers grow their business,” said Jim Peterson, Senior VP &COO, Global Metal Food & Household Products Packaging. The infinitely recyclable G3-HD is available in multiple sizes and utilizes Ball’s advanced technology to provide a brighter and whiter canvas to accommodate up to eight-color, high resolution customer graphics.